week ago, Mark and I went to visit Missy and Everett from Living a Simple Life. 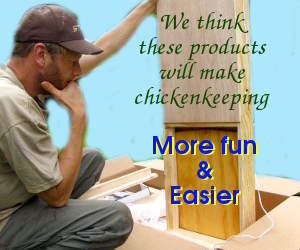 of photos of their automatic chicken feeder. automatic chicken feeder so the birds will never go hungry. of town for several days without worrying about your flock. This is over a year old now, how does the feeder work? Any complaints or redesign work gone into it?